For Toyota and its NASCAR driver Kyle Busch, 2015 was a year to remember. In a season worthy of a Hollywood biopic, Busch came back from crippling injuries to capture his first career NASCAR Sprint Cup Series title. 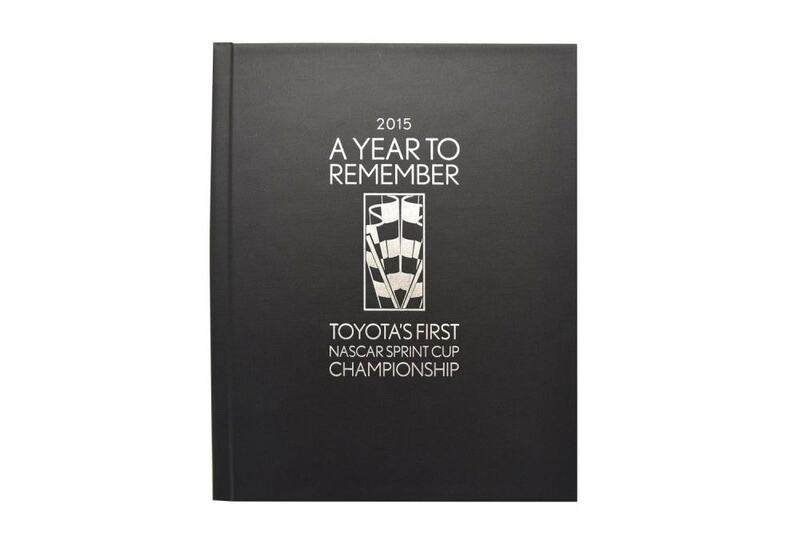 Toyota wanted to commemorate the determination, teamwork, and success in a special keepsake to share with everyone on the Toyota team. Americhip’s Video in Print™ & Video Book technology is the perfect means to capture the drama and excitement of events like these. 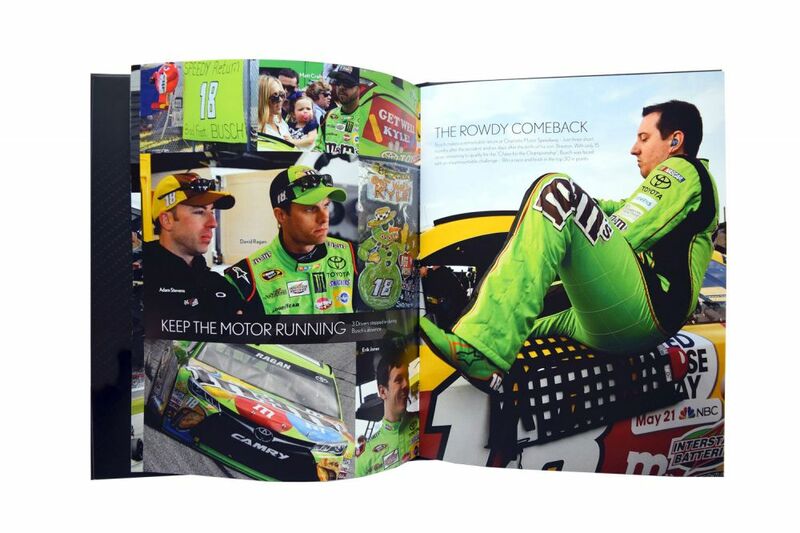 Working with Toyota’s agency, we created an extraordinary 24-page book full of large, detailed photos and stories that chronicled the year, from the accident through recovery to the big wins and the celebrations that followed. The cloth-covered book imprinted with silver foil opens to reveal our patented VIP Screen including our chapter buttons. With a push of the button, recipients get to watch a vivid play by play recap of the thrilling events of the year. 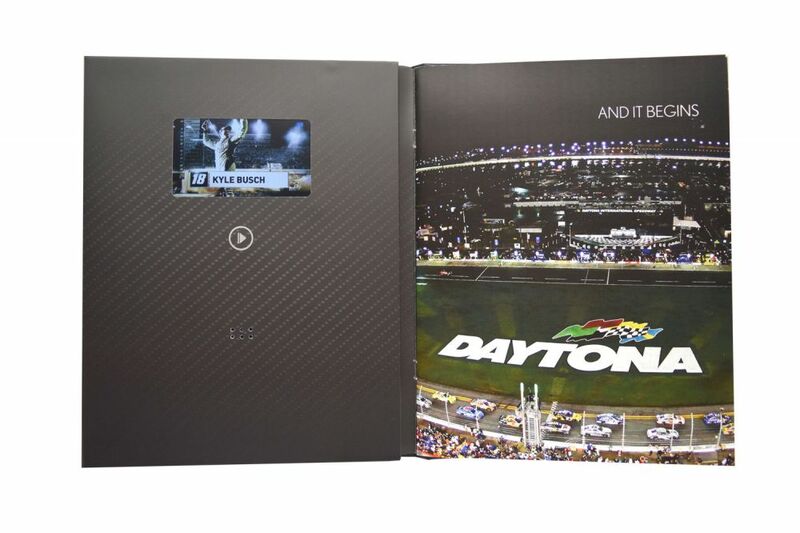 With this unforgettable commemorative Video Book, Toyota honors and celebrates its drivers, its employees, and all the rest of the team that made it such a success. Don’t your special moments, successes and people deserve the same?